Looking for a quick, easy, low-cost, and nutritious side dish for dinner? 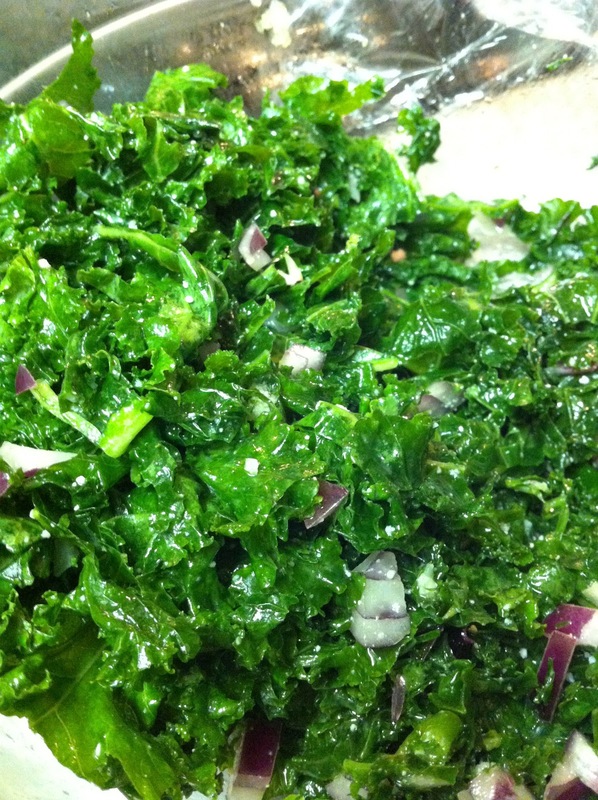 Tired of your same old salad and looking to use kale (a SUPER superfood) in a different way? I knew you were! Kale is loaded with vitamins A and C, which help to keep your skin and eyes healthy. 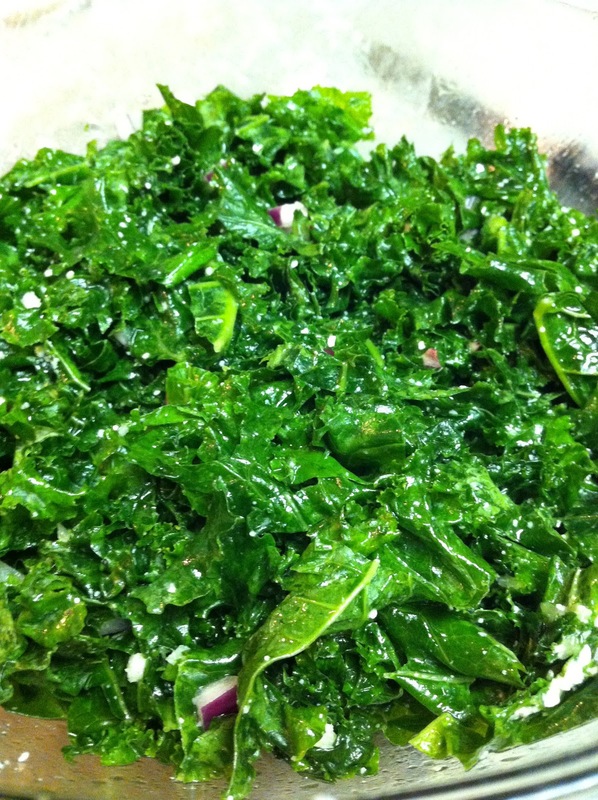 Kale is a superfood because its loaded with antioxidants that may help prevent against certain types of cancers. At only 60 calories per 1 cup serving, you can't go wrong with this nutrient-packed side dish. 1. Hold each kale stem with one hand. With your other hand, gently pull down along the kale stem and remove the kale leaves. Discard stems. 2. Stack and gather the leaves on a cutting board. Slice the kale into small strips. 3. Mix the lemon, garlic, olive oil, and salt in a large bowl. 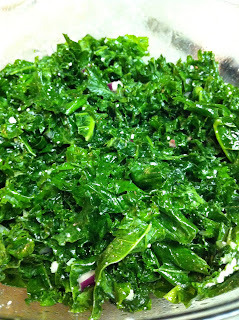 Add kale and onions, and toss. 4. Sprinkle with parmesan cheese and walnuts, if using. Have the kids help in the kitchen! They can help to strip the kale leaves off of the stems, or toss the slaw when needed. Tried and tested with children myself, you'll be surprised how much they love this side dish, and having them help to prepare it will entice them even more and make them feel more a part of their meal. PS- This dish keeps very well when covered and refrigerated. Feel free to make ahead of time for cookouts, parties, dinners, and luncheons to serve as a cool side dish.